Reble World Records presents an Urban Dancehall track with a positive message and a modern twist. It's gonna be huge!! Grammy Award-winning Mykal Rose Ft Capital D from Caliente Sound (Connecticut, USA). 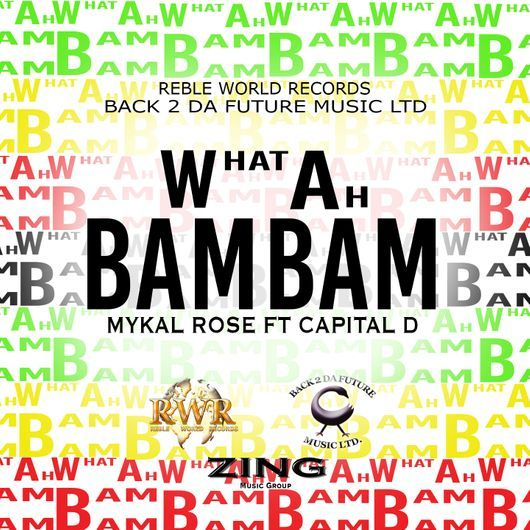 "What Ah Bam Bam" produced by Babyboom for Reble World Records. All fans and music lovers can relate to this track as it easily fits in with any playlist - HipHop/Reggae/Dancehall. So make sure you grab your copy. Help support the music by sharing/reposting, spread the word!! For dubplates visit Reble World Records and fill in the contact form. Release Date: 3rd February 2017!!!!! Mykal Rose Featuring Capital D.